US President Donald Trump publicly attacked the FBI’s leadership Friday, accusing them of politicizing their investigations in favor of Democrats as he gets set to approve the release of an explosive memo alleging the agency’s abuse of power. Trump nominated both Attorney General Jeff Sessions and FBI Director Christopher Wray as leaders of their respective departments. The Republican president hand-picked the latter to replace James Comey, whom he abruptly sacked last May. Now just six months into his tenure, the 50-year-old Wray — who has made clear he does not support releasing the memo — finds himself on a collision course with the president. Democrats and critics in the intelligence community say the release is a stunt aimed at casting doubt on the independence of the FBI and Justice Department, using very selective information that cannot be countered publicly without revealing more secrets about government counterintelligence operations. They hold that the ultimate goal of the memo, with Trump’s support, is to undermine special counsel Robert Mueller’s investigation into possible Trump campaign collusion with Russia and possible obstruction of justice. Based on highly classified documents dealing with Russian espionage, Nunes’ memo is his summary of what lay behind the FBI obtaining a so-called FISA national security warrant in 2016 to surveil Trump campaign official Carter Page, who had many Russian contacts. 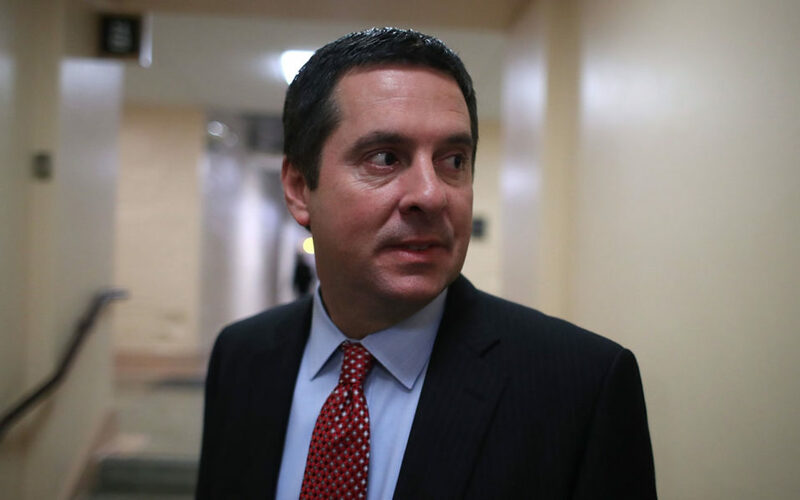 Nunes alleges that the basis of the warrant application was the “Russia dossier,” information on contacts between the Trump campaign and Moscow compiled by former British intelligence agent Christopher Steele. The dossier remains contentious and unproven, and was financed in part by Democrat Hillary Clinton’s presidential campaign — a fact that Nunes says shows the FBI and Justice Department’s anti-Trump bias and abuse of power. Paul Ryan, the Republican speaker of the House of Representatives, defended the memo Thursday as an attempt to protect American civil liberties. “This memo is not an indictment of the FBI or the Department of Justice,” Ryan said. Other Republicans, including Representative Jeff Duncan, seemed less reticent to cast it all in a political light. “Having read ‘The Memo,’ the FBI is right to have ‘grave concerns’ — as it will shake the organization down to its core — showing Americans just how the agency was weaponized by the Obama officials/DNC/HRC to target political adversaries,” Duncan tweeted.